Dr Antonia Liguori joined Loughborough University – School of the Arts, English and Drama as Research Assistant to work with Professor Mike Wilson on DRY Project with a focus on digital storytelling. She has a PhD in History and Computer Science from the University of Bologna and a Masters in Contemporary History from the University of Rome. She is also a journalist and a Web content and SEOmanager. Since January 2006, she has coordinated the Multimedia Department at BAICR Sistema Cultura with the aim of contributing to the enhancement of the Italian cultural heritage through the use of innovative methodologies and the creation of digital environments. Since September 2012, she has coordinated two European Projects about digital storytelling on behalf of the Luigi Sturzo Institute (Italy). Lindsey McEwen combines experience in hydrology, water resources/flood risk management, water education/ science communication and community-based learning. Previous funded projects include:ESRC Flood Memories project (2011- 2013; with Joanne Garde-Hansen) focused on flood memories/local knowledge for increased resilience, with linked ESRC Knowledge Exchange funding, Trialling digital storytelling as a form of adaptive learning, and knowledge exchange for resilience in ‘at risk communities’ (2013/14); NERC FOSTER (Flood Organisation Science and Technology Exchange Research; Co-I; ‘cutting edge’ flood science communication to local authorities); JISC-funded Flood Archive enhancement through storytelling (with Mike Wilson); and AHRC Hydrocitizenship project (2014). Lindsey is experienced at interdisciplinary project management and in working across disciplinary boundaries, particularly water science/social science/arts and humanities interfaces. She led the AHRC Living flood histories network (Learning to Live with Water: Flood histories, Environmental Change, Remembrance and Resilience and was co-investigator on the AHRC Multi-story water project, engaging the public with changing risk and ‘watery sense of place’ through water narratives interwoven with performance theatre. Other information about Lindsey’s recent projects. Dr Martina McGuinness is a Senior Lecturer in Risk Management and Strategy at the University of Sheffield’s Management School. She carries out research into the governance and strategic management of climate-related risks, and the impact of these risks upon public, private and third sector organisations. She is currently working on an EPSRCfunded project, SESAME, which examines flood risk in the UK SME sector and is also a NERC Policy Placement Fellow with the UK’s Environment Agency. Dr Margarida Sardo is a Research Fellow in the Science Communication Unit (SCU) and brings to the project specialist skills in science communication and in project evaluation. Her research interests include the routes by which environmental science and research are used and embedded in policy-making, informal learning, science communication impact and evaluation and innovative strategies for public engagement. Margarida’s current role is to develop ideas for collaborative projects with other researchers and academics. Margarida has done research/consultancy work for the Wellcome Trust, the British Academy, DG Environment (EU), the BBSRC and others. She is part of the SCU, which has run large projects such as Talking robots: examining strategies for engaging publics with robotics (funded by the ECRC), Walking with Robots (funded by the EPSRC), etc. 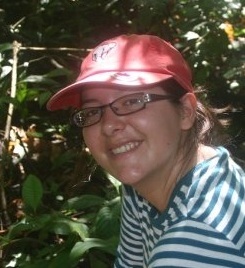 Margarida has a first degree in Biology and a PhD in Environmental Toxicology. In 2009 she moved into science communication, from a background in the natural sciences. She teaches occasionally on the MSc modules in Science Communication and supervises students. Dr Patty Ramirez recently joined UWE as a Research Associate in Citizen Science on the Drought Research and You (DRY) project. Patty works with a diverse group of stakeholders on a variety of drought risk science initiatives to promote learning opportunities, and to understand the impacts of drought on plant, crop and tree ecology, as well as water use in homes and gardens. Before joining UWE Patty’s dual-title PhD focused on dung beetle community ecology and ecosystem service provision in the Brazilian Cerrado (savanna). She also has an MSc in Taxonomy and Biodiversity from the Natural History Museum, London (with Imperial College) and a BSc in Ecology at Oxford Brookes, focusing on tropical ecology. Patty has worked with a wide range of voluntary organisations and has particular experience in public engagement projects focusing on children and families. Dr Sarah Ward is a Research Fellow with the European Centre for Environment and Human Health (ECEHH) and a Senior Research Fellow with the Centre for Water Systems (CWS), both at the University of Exeter. In her capacity with the ECEHH Sarah joined the DRY project mid-2016 primarily to collect narratives and develop digital stories for the health domain. In her capacity at the CWS, Sarah works on a range of interdisciplinary projects relating to water systems, resilience and sustainability using socio-technical perspectives, mixed methods and public engagement approaches. 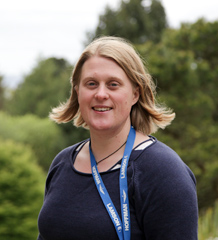 Sarah’s PhD focused on socio-technical aspects of rainwater harvesting systems (Exeter) and she has an MRes in Science & Technology Studies (Exeter), an MRes in Earth and Atmospheric Sciences (Reading) and a BSc in Geography with Astronomy (Plymouth). Sarah previously worked in industry, with Thames Water Utilities Ltd for five years, where she held GIS and water resources analysis roles, the latter during the 2004-06 drought. She is also a Chartered Water and Environmental Manager, a Chartered Environmentalist, an Associate Fellow of the Higher Education Academy and runs RainShare (a social enterprise) in her spare time.